I just love playing in Jenn's Artist's Play Room. Jenn is a fabulous artist and does the most amazing sketches! She challenges me to think outside box. If you haven't visited, I encourage you to check it out. 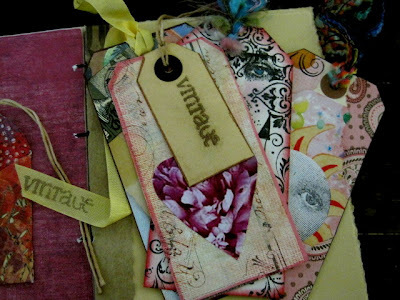 She also has a blog that is ripping at the seams with Inspiration and loads of good information. The challenge this week is: Magnify. "SHE MAGNIFIED HER LIFE AS SHE WROTE ABOUT HER JOURNEY"
This one really threw me. I have to admit that I won't have a chance this week to jump in and create something brand new. Work and company are the challenge for me this week. 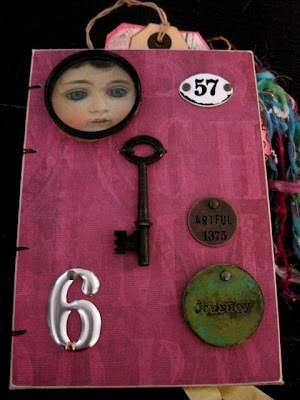 However, I did already have a writing journal that I made that just fits the bill for this challenge so I using that for my submission for Magnify this week. Have a wonderful week everyone. Check out the Artist's Play Room this week and MAGNIFY your Imagination and get Inspired! See you there! Wow...this is so very magical and deeply beautiful!! Love everything about it..it totally sparks my symbolic mind and makes me want to dream and journey.....stunning and soul-dazzling!! fabulous book! i'd love a closer look! anybody have a magnifying glass?!? Hi Kim. Love this. Nice work. Your journal made a great entry for the challenge. I'd love to be able to hold it in hand and flip through the pages. That is so beautiful and the words are perfect. It's as if her face is inside the magnifying glass, wonderful. i'm always in love with your work kim. I bet just flipping through your pages here would be a feast for the eyes. Even just the bookmarks!! Yummy is all I can say. 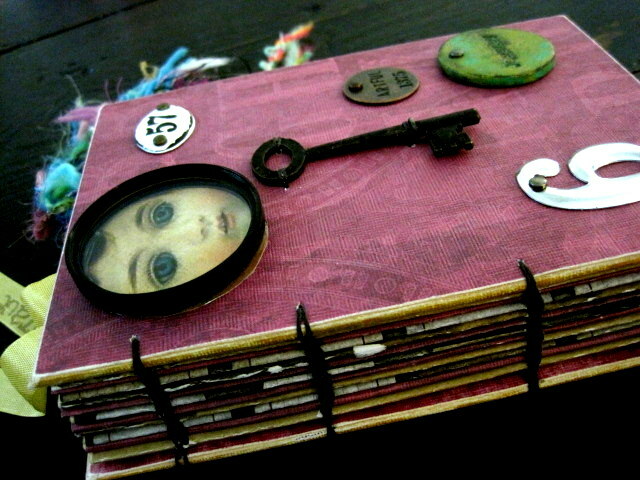 Such a fun journal. I love the vintage bits and pieces. Always so close to my heart. 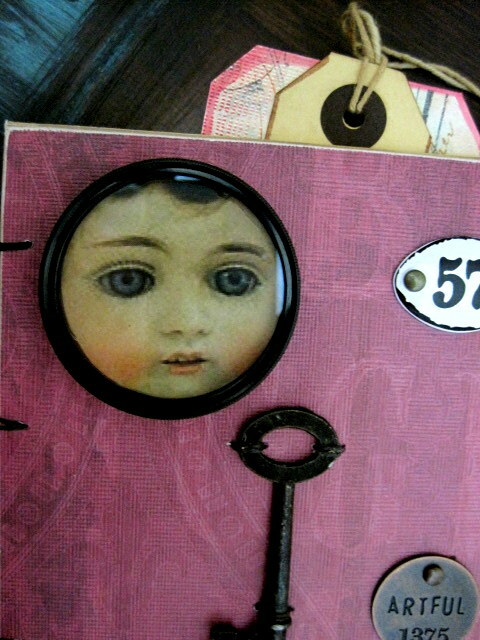 I really like the gorgeous tags and sweet doll's face.